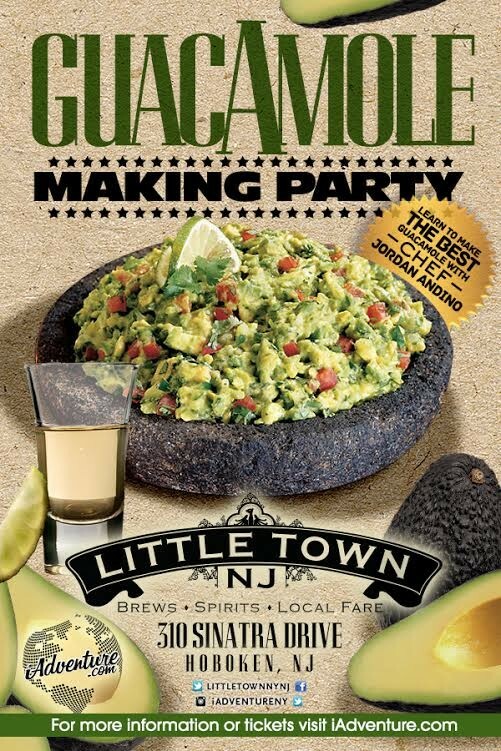 Little Town NJ in Hoboken is hosting a Guacamole Making Fiesta on Monday, May 5th from 7pm to 8:30pm. Head over to the Hoboken pier on Cinco De Mayo, where Chef Jordan Andino will teach you how to make this healthy and delicious traditional Mexican dip. You’ll get to prepare your own Guacamole creation and then eat it afterwards while enjoying some margaritas. Tickets are $25 and available on www.iadventure.com. Each ticket includes admission party, 1/2 quart of guacamole with chips, a guacamole special dish and a margarita.